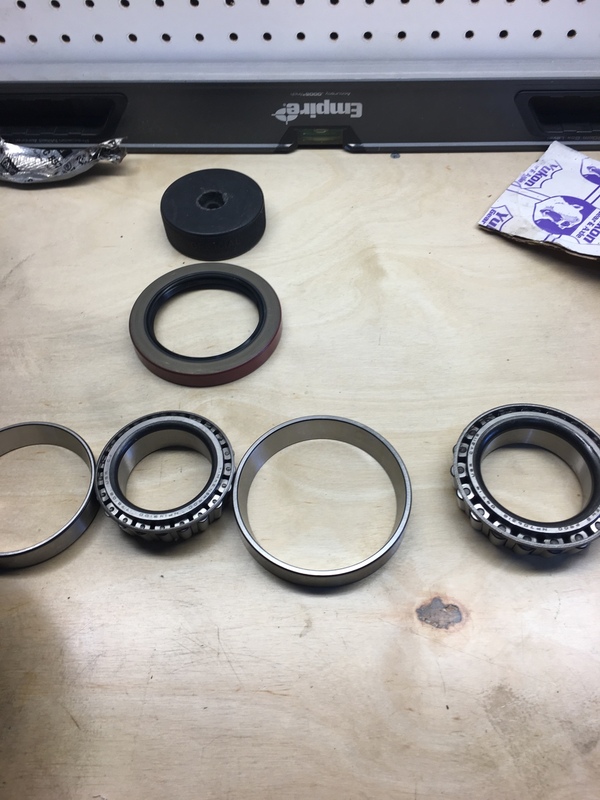 2007 2500 Silverado rear axle bearings. Need a phone call. I am not positive the hub was assembled correctly. wait one, ill get somebody to answer for you. Hey Dave- will any of these diagrams help? What axle does it have. I think 14 bolt right? Well I finished one side. Now I am stuck with the driver side rotor not coming off. My shoulder is absolutely distorted today. Any suggestions on this? Both the 11.5 AAM and 10.5 GM use the same parts. We need a good write up here for that. I have build 100's of semi trailer and semi hubs. No clips, no reverse cups, nothing. They can't come loose and hardly ever fail. Why GM did about the reverse of that is crazy. Sorry I was away at Jeep Beach in Daytona when Nate called. How's progress? You can call if you need still, but it sounds like you figured out most of the process so far? Yeah I got it. Should have ordered two sets of bearings if I had to tear it down that far just for breaks. and here is the part in my build with the bearings and seals and parking brake.